We are delighted to welcome new colleagues, visiting professors, and fellows to the Faculty of Law. 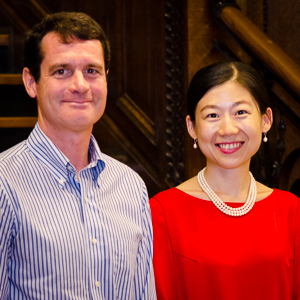 First, Professors Mark D. Walters and Kun Fan have joined the Faculty, arriving respectively from Queen’s and the Chinese University of Hong Kong. We are also welcoming Li Ka Shing Professor of Practice Cliff Manjiao Chi, from Xiamen University Law School, and Li Ka Shing Junior Fellow Dr. Hongqin Mu, from Shantou University Law School, who are both spending the fall term at the Faculty. Finally, Dr. Cassandra Steers and Dr. Péter Szigeti will spend the 2016-2017 academic year at the Faculty, respectively as Wainwright Junior Fellow and Boulton Fellow. Professor Mark Walters is widely admired for his unique expertise in the rule of law, legal theory, and aboriginal law, Walters holds a PhD from Oxford University, where he lectured for a few years before joining Queen’s University (1999-2016). His impressive track record as a scholar and teacher includes the publication of over 40 book chapters and peer-reviewed articles in the leading law journals of the United Kingdom and Canada, and he has a monograph forthcoming from Cambridge University Press. Over the past decade, he also has received several visiting fellowship awards from both Oxford and Cambridge. Walters’ work on aboriginal and treaty rights is regularly cited with approval by the Supreme Court of Canada. Professor Walters is joining the Faculty as F.R. Scott Chair in Public and Constitutional Law. 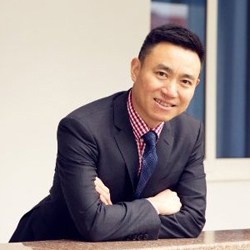 Professor Kun Fan teaches and researches in the areas of mediation, arbitration and comparative legal studies. She has studied and worked in China, Singapore, the US, Switzerland, France, Hong Kong and Canada. With her training in the East and the West, in both common law and civil law jurisdictions, she is particularly interested in broad intellectual inquiries across national, disciplinary and professional boundaries. Professor Fan has conducted several research projects on alternative dispute resolution. Professor Fan is author of the book Arbitration in China: A Legal and Cultural Analysis (Hart Publishing) and has published extensively on cutting-edge issues in a variety of leading international journals. She has also been a Visiting Scholar at the Harvard Yenching Institute. Professor Manjiao Chi is Li Ka Shing Professor of Practice for the fall 2016 term. He is a Full Professor at Xiamen University’s Law School in China. His major research fields cover international economic law, especially international trade and investment policy and law, international dispute settlement and global governance. He has published extensively in leading law journals in both Chinese and English. Professor Chi has worked for China’s Ministry of Commerce, mainly dealing with WTO disputes, investor-state disputes, and trade & investment policy. He was a member of the Chinese delegation for international investment treaty negotiations. Professor Chi frequently serves as arbitrator, consultant and expert witness in domestic, foreign-related and international arbitration cases. Dr. Hongqin Mu is Li Ka Shing Junior Fellow for the fall 2016 term. She is a lecturer in Shantou University Law School, where she teaches in the areas of civil procedure, securities, and methodology. 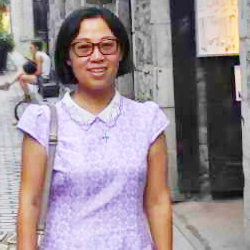 Dr. Mu is interested in legal culture and legal history, and she has published several articles related to these areas. Mu is also a member of the “History of Law Civilization” National project directed by Qinghua He, the former president of East China University of Political Science and Law. Dr. Cassandra Steer has spent the past 18 months affiliated with McGill’s Institute of Air and Space Law (IASL), where she worked on global space governance, military activities in space and contentious issues of property rights in space. She is the member for Canada on the International Law Association’s Space Law Committee, and the Secretary of the Space Security Committee of the International Astronautical Federation. In May 2016, she was named Executive Director of Women in International Security Canada. 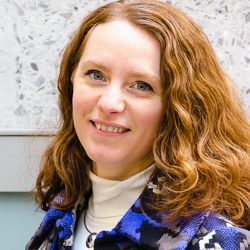 Prior to coming to McGill in 2015, she was a Junior Professor at the University of Amsterdam for six years, where she also completed her law degrees and her PhD. She is a comparativist at heart, and as a Wainwright Fellow, she will be focusing on comparative theories underpinning property law. Dr. Péter D. Szigeti holds an SJD (2015) and an LL.M. (2008) from Harvard Law School, and a Master's from Université Paris I (Panthéon-Sorbonne). His doctoral dissertation, titled ‘Text and Territory: Jurisdictional Conflict and Territorial Language in Law’, investigated the two sides of territoriality as a geographical fact and as a key rhetorical element in legal analysis. Before taking up the Boulton Fellowship at McGill, he was a Max Weber Fellow at the European University Institute in Florence. 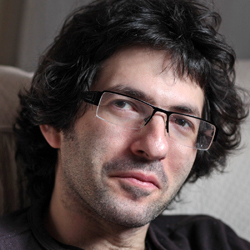 His research interests are focused on public international law, legal theory, environmental law, property theory and the history of political thought.